Anti-Zionist or Anti-Semitic – Rev. Stephen Sizer? Father Roy writes: The following article was published in today’s Jerusalem Post. Weed thru the hasbara. Jewish groups in the UK are accusing the Rev’d Stephen Sizer of “anti-Semitism”. A formal complaint has been filed in the Church. It’s a familiar scenario. Make a value judgement for yourselves, Peers. Take a look at Stephen’s website. Some of his writings can be found at a website which was built by Christian Evangelicals: Challenging Christian Zionism and Apocalyptic Rapture Teachings. Watch a few of Stephen’s videos on YouTube: stephen sizer – AOL Search Results. From my humble perspective, honesty is a prerequisite for effective interfaith dialogue. It’s pushback time. Jewish Groups in the UK are making a big issue out of Stephen’s case. From my perspective, it’s the underlying issue that needs publicity. I’ve written to Sami Joseph asking whether there’s one newspaper in London where a letter-writing campaign can be focused. A national debate over there would be healthful for all concerned. Sami has not had time to respond yet. Meanwhile, letters of support can be addressed to Stephen’s Bishop, the Rt. Rev. Christopher Hill: bishop.christopher@cofeguildford.org…. There’s a postscript. LONDON – Britain’s Jewish community representative organization has taken the unprecedented step of lodging a formal complaint to the Church of England, the country’s officially established Christian church, accusing one of its clergyman of anti-Semitism. The Board of Deputies of British Jews has accused Rev. 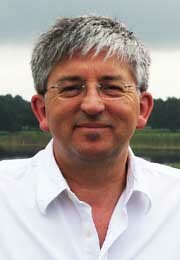 Stephen Sizer, the vicar of Virginia Water Church in Surrey and an ardent anti-Israel campaigner, of making anti-Semitic statements and republishing anti-Semitic material. The action comes at a time when the relationship between the Jewish community and the Church of England has taken a downward turn, following its decision in July to strengthen ties with an anti-Israel group. According to the board’s vice-president, Jonathan Arkush, Sizer has made statements that the board and most of the Jewish community find utterly offensive, to the point of crossing the line into anti- Semitism. The representative organization lodged the complaint under the Church of England’s disciplinary process, an act of parliament known as the Clergy Discipline Measure 2003. “Rev. Sizer republishes items to support the target of his polemical writing, while at the same time introducing his readers to the racist and anti-Semitic websites from where he draws his material,” he added. Sizer removed the link three months later only after numerous complaints. In March, Sizer linked a picture of US bases surrounding Iran from the “Veterans Today” website, which publishes articles defending Hitler, and promotes Ku Klux Klan leader David Duke and the anti- Semitic musician Gilad Atzmon. “Its home page quickly discloses articles displaying hatred of Jews and Israel. Rev. Sizer could not have missed these when searching the site for material to post on his blog,” the board maintained. In May, four months after removing the controversial link, Sizer acknowledged that the “Ugly Truth” contained offensive material and said that he had “no wish” to be associated with it. “I have on many occasions condemned all forms of anti-Semitism and will continue so to do because it is abhorrent to me,” Sizer maintained. The charge sheet questions the sincerity of Sizer’s condemnation of anti-Semitism. “Any visitor to ‘Window into Palestine’ would see immediately that it is racist and anti-Semitic. Rev. Sizer posted a link to this website exactly one month after telling the Council of Christians and Jews that he condemned all forms of anti-Semitism. Arkush said that Sizer displays an obsession with Israel and opposes its identity as a Jewish state. He also said that Sizer has few qualms about the company he keeps. Writing in March 2011, Sizer said that Saif Gaddafi made a surprise visit to Israel to buy more weapons for his father, the late ruler of Libya. “He goes to Israel regularly because, according to a senior Middle East Ecclesiastical source, both his mother and aunt are Jewish and live in Israel. “Blood is indeed thicker than water. Perhaps this is why the US is reluctant to impose a ‘no-fly’ zone over Libya,” Sizer said. It emerged that Sizer subsequently modified his post and removed the last line. In June 2011, Sizer gave an interview to a Malaysian television program in which he claimed that “the Zionists” and the Far- Right in Britain were forming an alliance. “It’s ironic that the very people who favored the work of Hitler are now working with the Zionists against the Muslims because they view them as a threat,” he said. The complaint will now be considered by Bishop Christopher Hill, the bishop of Guildford, which is the jurisdictional area under which Sizer’s church falls. Tags: israel and palestine, israel and palestine conflict, jewish board of deputies, stephen sizer. Filed under Israel and Palestine, israel and palestine articles, israel and palestine conflict by Father Dave on Nov 6th, 2012. 2 Comments.